From custom closets in every bedroom, to custom garage organizers, laundry room cabinets, etc we can build you storage solutions that will allow your home to shine. If you have been considering home improvement options, custom closet systems are a great place to start, as they bring organization to every room and storage area in your house. At Atlantic Source, innovative and stylish home solutions is our focus. Whether it's custom closets, garage organization, custom shower enclosures, retractable screen systems, or any of our other products, our goal is to help you become the person you aspire to be. Organized, efficient, comfortable. We’ll guide you through the decisions, providing fresh options and then pull it all together into a solution that is beautiful, functional and uniquely yours. We are a family owned, local closet organization company with over 15 years experience. As a husband and wife team we offer A-Z services, from the appointment to the design and lastly the install. There are no subs and you can trust that the owners take complete pride in our product and installation. With our low overhead we guarantee you the lowest price. 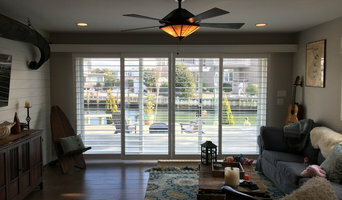 We also offer window treatments and specialize in plantation shutters handcrafted in the USA. Give us the chance to show why our product and services are superior and our prices are the lowest! *ORG Home Authorized Dealer* Welcome to Beautiful Closets, your local home organization expert serving the greater Sussex county area. As a fully trained and authorized ORG Home dealer, we provide professionally designed and custom built organization solutions. Our complete line of home organization solutions includes unique solutions to organize closets, pantries, garages, basements, laundry rooms, and even the home office or extra bedroom. We complete many installations each and every week and the quality of the work speaks for itself. Our installers are not only expert at their craft, they treat every home as if it were their own. We are proud to serve the greater Sussex county area including the following areas: Ocean View, Bethany Beach, Fenwick Island, Rehoboth, Georgetown, Millsboro, Dagsboro, Frankford, Lewes, Selbyville, Ocean Pines, Ocean City, and Berlin. Serving Delmarva since 2005, we design and install custom storage solutions for every area of the home. From closets to home offices, garages to pantries, media centers to laundry rooms and beyond, we create beautiful, organized places for all of your spaces. At Inspired Closets Delmarva, we understand that "one size doesn't fit all" and that's why each project is uniquely designed with your individual needs, budget, style, and space in mind. From the very first appointment, Inspired Closets Delmarva measures your space and discusses your distinct needs. Using our proprietary design software, a custom built-in cabinetry plan will be created exclusively for you. This design can be further customized along with you, ensuring your complete satisfaction. Whether it's coming up with a simple design to meet your budget, or making a spectacular one to meet your dreams, Inspired Closets Delmarva allows you to be an important part of the design process. And most projects only take a day or two to complete. Let Inspired Closets Delmarva design and build storage solutions for your reality! *ORG Home Authorized Dealer* Seashore Custom Closets & Storage designs and installs beautiful room and closet organizers in unlimited designs and configurations to suit your taste, needs, and budget. As an authorized ORG Home dealer, we offer a dazzling array of products, styles, colors, and accessories, as well as expert installation. We work directly with you, the home owner, as well as with trade professionals, to create functional and organized closets and storage. We may not be able to increase your closet size or storage space, but we can maximize capacity with space-saving solutions for every room in your house. Seashore Custom Closets and Storage uses environmentally-friendly, quality products made by ORG Home, a well-established company with over 25 years of experience. The ORG Home advanced design, engineering, and machinery allows us to personalize your storage solution and create anything your heart desires. With over 4000 different components to choose from, we offer almost endless options to suit your budget and meet your organization needs throughout your home. Shelving comes in thermo-fused laminate and wood veneer finishes. (See colors.) You can customize enclosures with different styles of door and drawer fronts and your choice of pull hardware. Then you can complete your look with crown, base and other moldings. We help simplify lives by providing storage solutions for every room in your home. Specializing in closet, wardrobe pantry, office, media, garage and laundry rooms. Beautiful closets started with beautiful cabinets Our 12 years of growth and experience through Sylvester Custom Cabinetry has driven our team to provide our clients with a quality, affordable, and durable closet system, Sylvester Closets. Our goal is to provide a helpful, hassle free process. We are excited about our product and are proud of our quality of service and what we have to offer. Our outstanding team and the addition of on-site CNC automation has enabled us to produce a closet line, in house at Sylvester Custom Cabinetry, that meets the budget of most home owners. We have taken a durable and attractive closet off of your "someday" wish list and idea pages and made it a possibility for you right now. Behind Closed Doors, LLC was formed in 2002 by Tom and Patti Brown with one idea in mind: quality products and service. It's what you want for your home. It's also the basis for our company. Behind Closed Doors is proud to be the exclusive dealer in our area for the Organizers Direct Line. Our reputation is our best asset. We protect that by taking care of our clients. We schedule appointments at times convenient for you, including evenings and weekends. With beautiful samples and a 3D design program, our free estimates not only let you get a price in one visit, but you will also get a true understanding of the new function and look of the project. We're known for getting it all done. From design to installation, from prep to painting to full professional organizing services, Behind Closed Doors will meet your needs and exceed your expectations. Garage Concepts of New Jersey is your garage storage expert. We specialize in garage shelving, garage flooring, garage cabinets, and overhead racks. We can help you get your garage organized. Custom Closets By Rich McMahan has been providing garage storage services for residents in Absecon, NJ. Home Simplified lets DeClutter together. Organized Pantry -meal prep easier Organized Closet -outfits together easier Organized Fridge -shopping easier Organized Attic -Holiday seasonal items easier to find Organized Garage -park your car easier Labels make everything easier for the whole family. Clutter Free space lets energy flow. Let me give you more time to enjoy the important things in life! I can help even the most disorganized - turn chaos into order! Ms. Efficiency was started in January of 2002 (after 20 years as an Executive Assistant and Legal Secretary) before many people knew what a Professional Organizer was. Now, Organizing is a thriving industry and I am so proud to have been in on the ground floor. I've seen many changes in this industry throughout the years but one thing remains the same, we all need a little help now and then to de-clutter our lives and to get back some control. Family owned and operated business located in Lewes Deleware providing organization solutions to Sussex County. Before hiring a professional organizer, consider exactly what you need. Have you just moved into a Stone Harbor, NJ home and have no idea where to put everything? You may want to consider an organizer who specializes in room-by-room space planning or estate organization. Perhaps you’re faced with a tiny closet and an overflowing wardrobe. In that case find a professional who focuses on closets to help you get back on track. Also consider the types of objects that need organization. Are they items like books, family photos, files or collections? You’ll want a professional organizer who has experience designing custom systems with Stone Harbor, NJ companies that will best fit your needs. Find a professional closet and home organizer on Houzz. 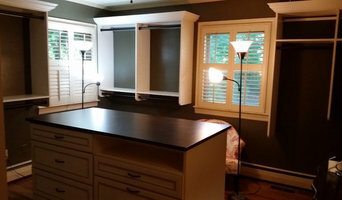 Narrow your search in the Professionals section on Houzz to Stone Harbor, NJ closets and home organization.